Welcome! If you are visiting for the first time, please start here. [Top 50 Questions] How does living in Silicon Valley impact your art? Silicon Valley, in northern California, is a hotbed of technology innovation. It is a place where anything is possible, and failures are just stepping stones to the next success. I love this part of the culture, which played out in my life every day for 20 years as a Silicon Valley-based high tech exec, and now in my art. My whole ‘Possibilities’ series is rooted in the unrelenting optimism of Silicon Valley. You can read more about my Silicon Valley experience here on LinkedIn. Not everyone loves Silicon Valley as much as I do. Have you lived or worked here? What’s your take? It’s actually, 3 short video tours – a partial tour of my home gallery, a tour of the (cleaned up) studio where I paint, and a tour of the (messy) studio a few days before the event. 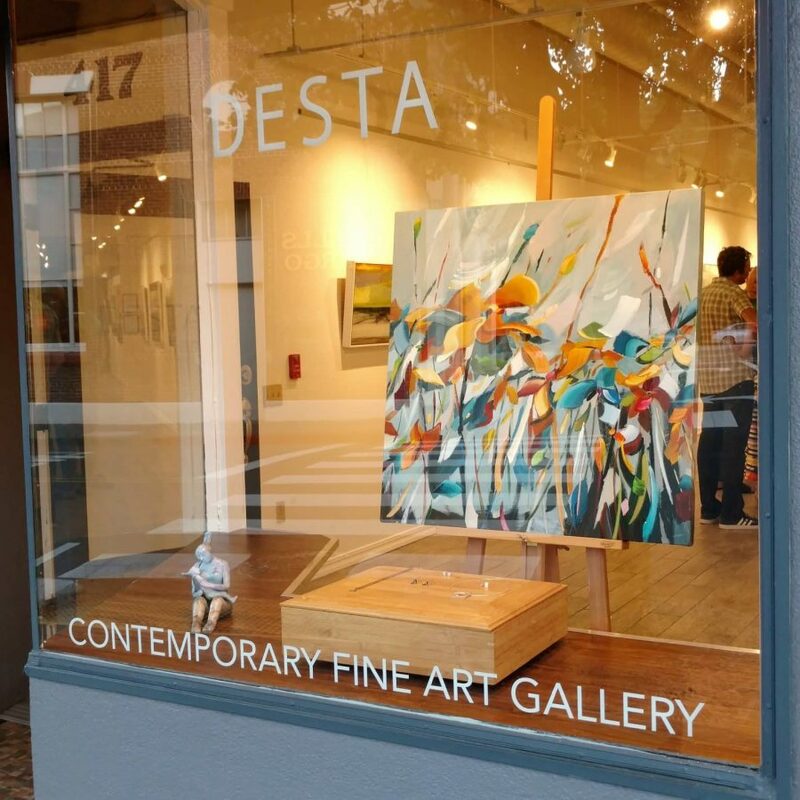 Want to check it out in person? My studio is located in Saratoga, CA. 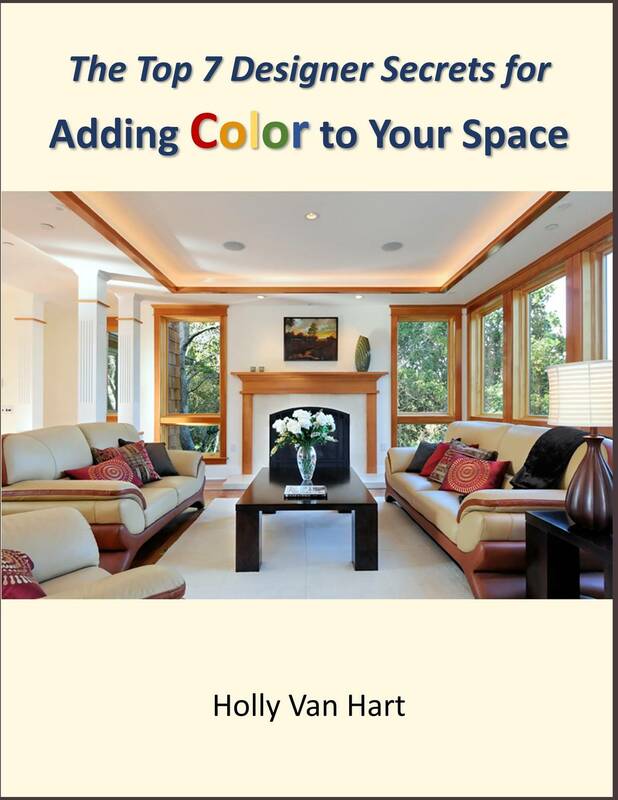 Please call or email me (650 646 5590, holly@hollyvanhart.com) to make an appointment. Click for details. 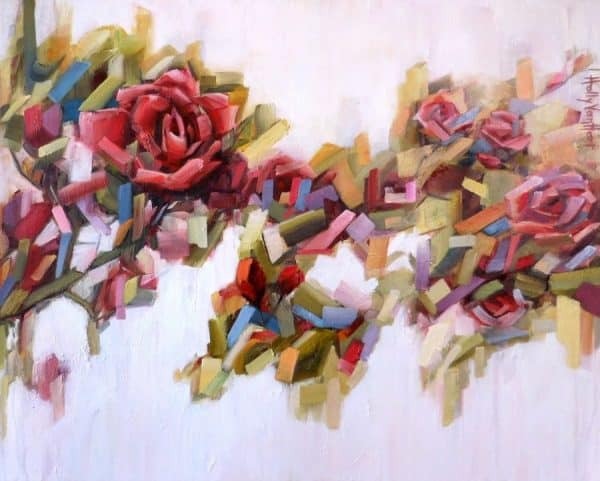 Are oil paintings easy to care for? Yes! 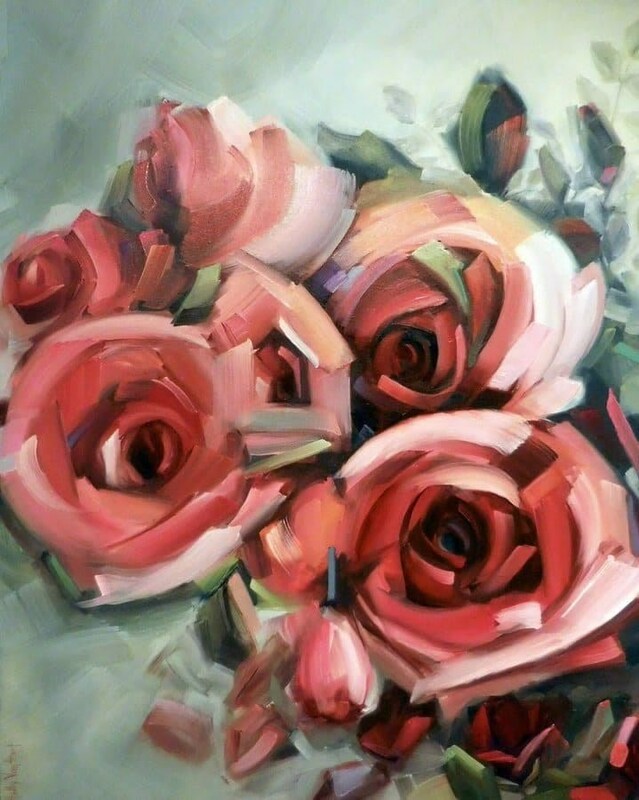 Oil paintings are very easy to care for. Here are my top tips for painting care . 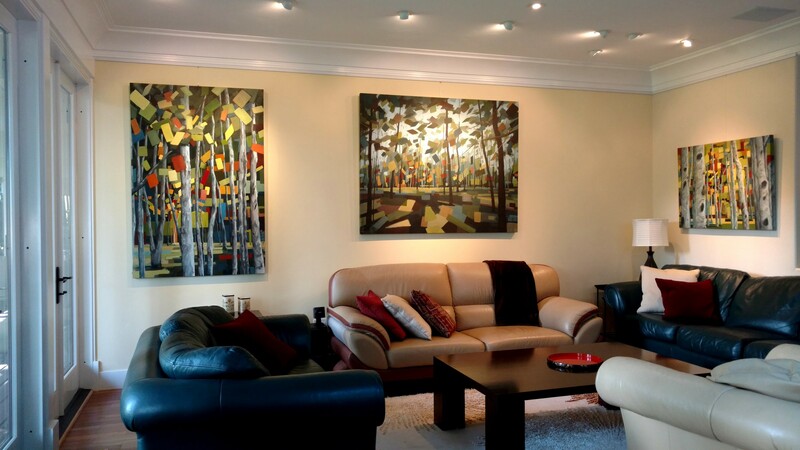 . .
– Hang your new painting on your wall as soon as you can (to get it out of harm’s way). 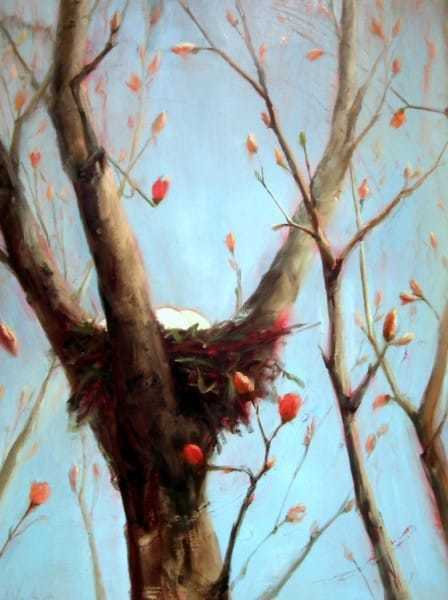 – Hang your painting out of direct sunlight. – Dust it every once in a while. Oil paintings are very durable too. They can last hundreds of years, maybe longer. This means they can be enjoyed for your lifetime, and then passed on and treasured for many generations to come. 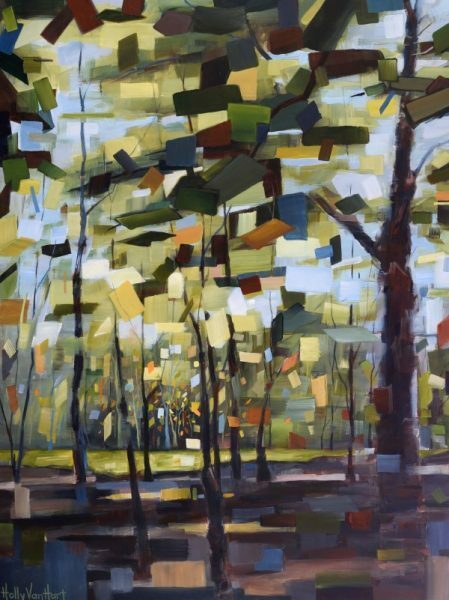 For details on oil painting care from a preservation professional, click here. Does drinking help with creativity? Question #23 Does drinking help with creativity? For me, the answer is both yes and no. With a glass of wine or two, my mind sometimes opens up to new ideas. But if I have a drink and then try to apply paint to canvas, mostly I make a big mess. So, the trick is to harness the ideas without messing up any in-progress paintings! Have a question to add to the top 50? 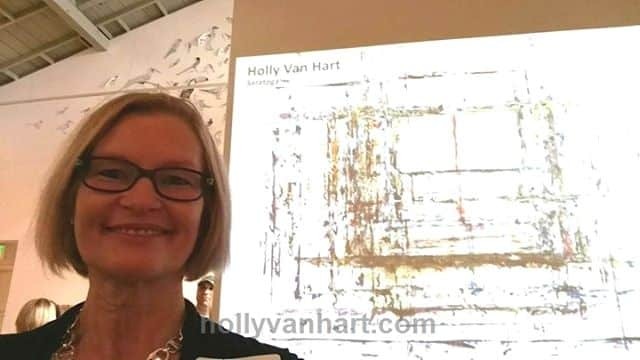 Email me at holly@hollyvanhart.com. I’d love to hear from you. Top 25 Paintings and favorite inspirational quotes. 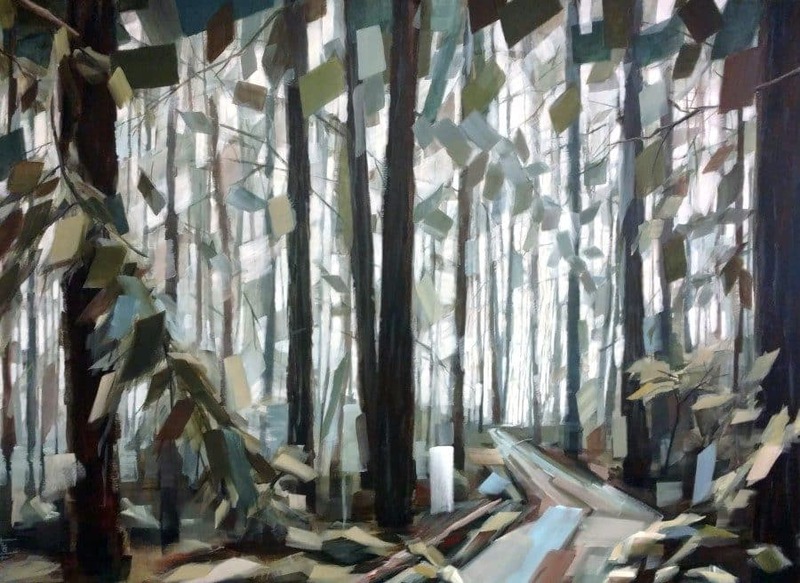 What is the hardest part of creating a painting? The hardest part of creating a painting is coming up with an amazing idea, and then turning that idea into an inspired design. Producing the painting (that is, putting the paint on the canvas) isn’t a piece of cake either, but that seems to flow once the first part is nailed down. Have a question to add to the top 50? 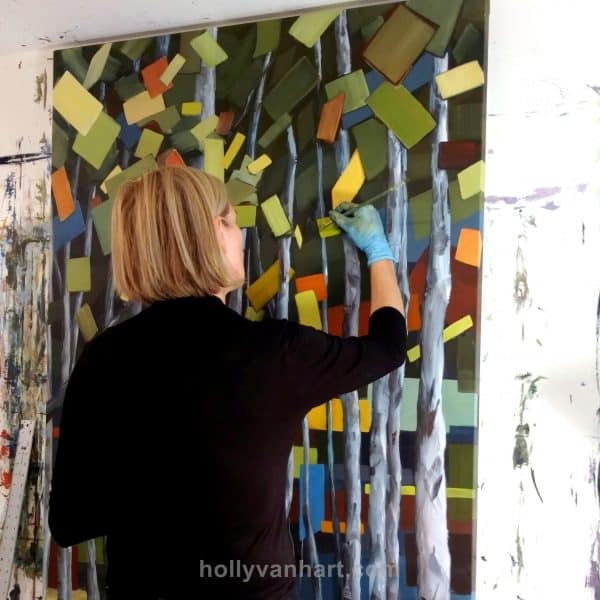 Ask away (in the comments section below or send an email to holly@hollyvanhart.com). 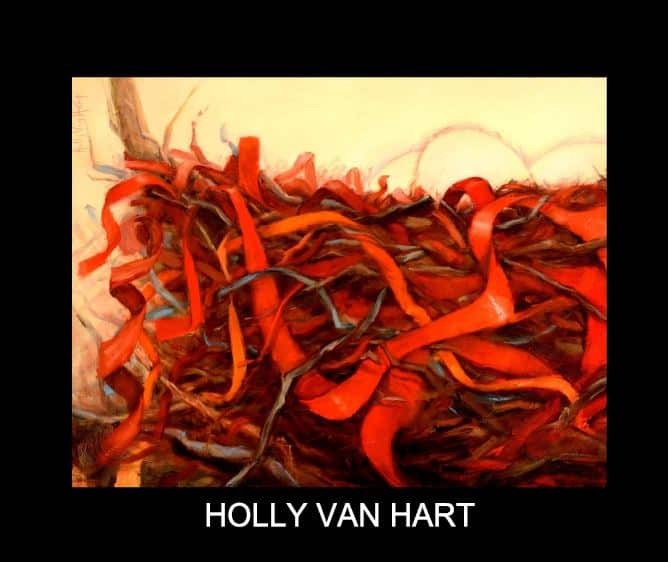 This 28-page full color book accompanies Holly Van Hart’s Possibilities Abound solo exhibition at the Triton Museum of Art. 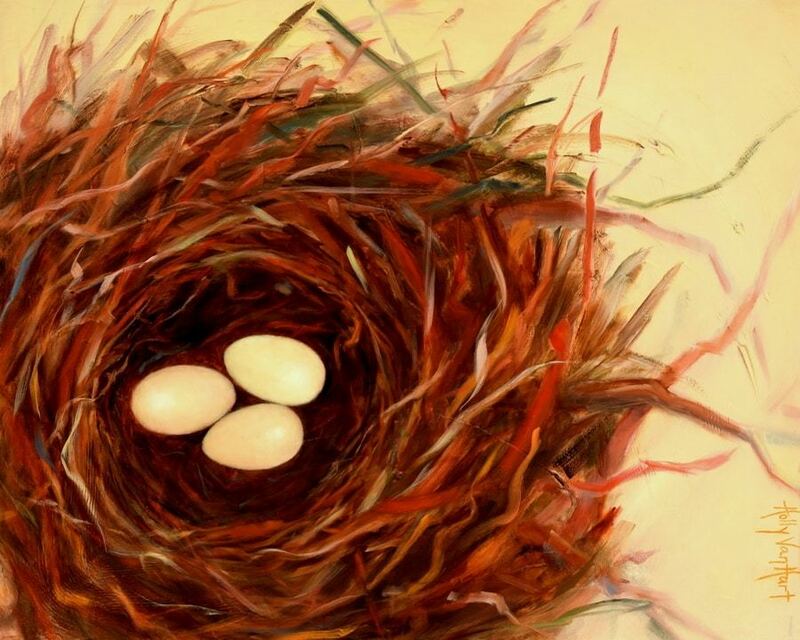 Van Hart’s oil paintings feature larger-than-life birds’ eggs and nests to symbolize the promise of our own capabilities, to be nurtured and explored and stretched to their fullest potential. This book features beautiful color plates of Van Hart’s richly colored paintings. It includes essays by DeWitt Cheng, art writer for Art Ltd, Artillery, ARTnews and Visual Art Source, and Preston Metcalf, Chief Curator at the Triton Museum of Art. 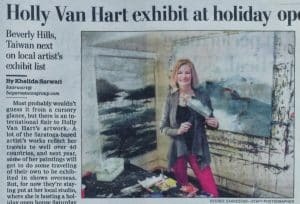 Van Hart has been featured in the Huffington Post, The San Jose Mercury News, and on Silicon Valley Talk Art Cable TV. “It is work that is powerful in its simplicity and message of human connectivity.” – Preston Metcalf, Chief Curator of the Triton Museum of Art. 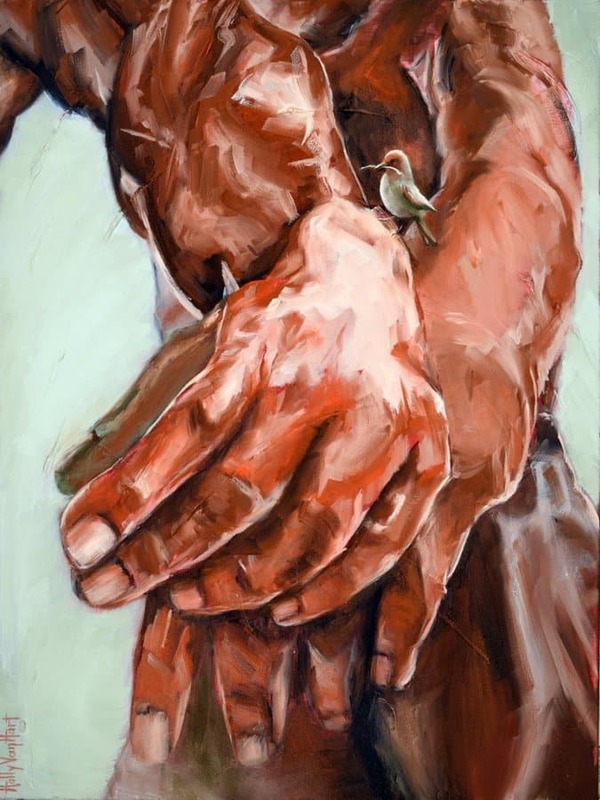 “Van Hart’s hard-won painterly skills are undeniable and compelling. Her naturalistic yet symbolic paintings . 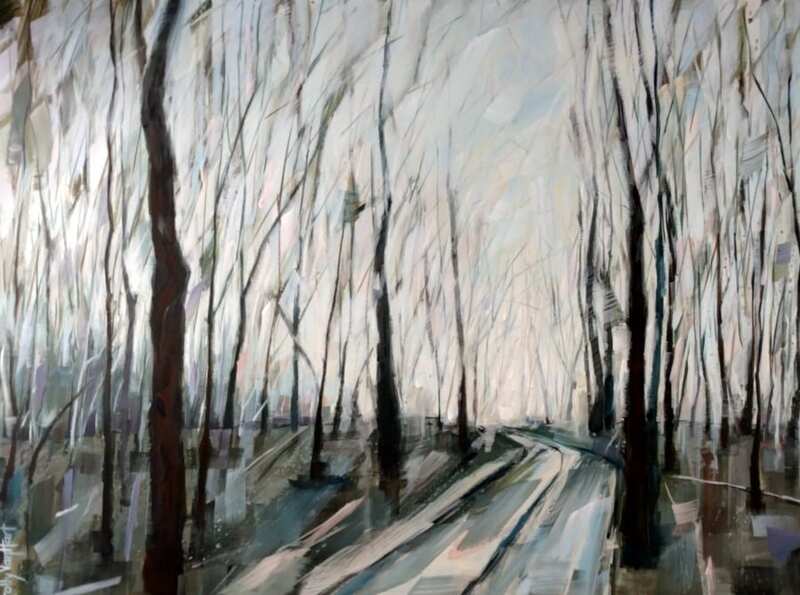 . . present their enigmatic subjects with both beauty and conviction, memorably. – DeWitt Cheng, Art writer for Art Ltd, Artillery, ARTnews, and Visual Art Source. 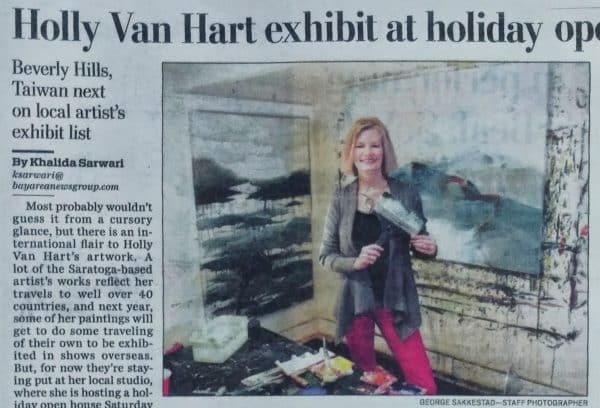 For more press about Holly Van Hart (Huffington Post, Professional Artist Magazine, Silicon Valley TV & more), click here. 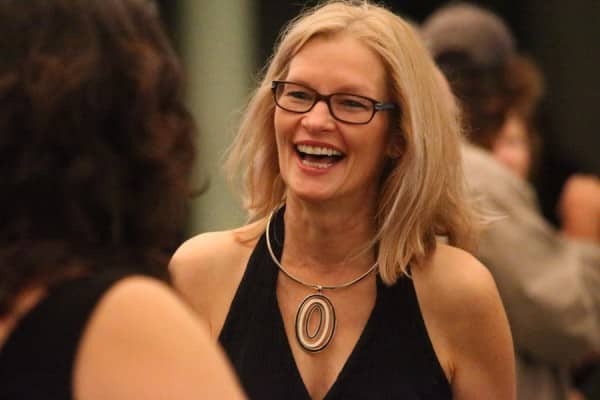 At cocktail parties and other fun social events, people often ask me questions about life as an artist. What’s the favorite part of your job? Whether you’re a banker, lawyer, stay-at-home parent, or an artist, we all have something we love most about our jobs. The favorite part of my job is . . . you! For realz. The absolute best part of being an artist is that it gives me an excuse to get to know you better. 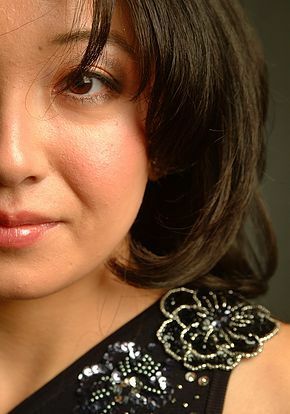 Tamami is an internationally acclaimed pianist who has performed in many of the world’s great musical institutions. Tamami is head of the Saratoga Education Foundation, and (for the last 6 years) a cub scout leader. Scouts is where we met. She is a mother of 4 gorgeous children. All except the youngest play 2 instruments. If you want to see one of her absolutely breathtaking performances, check out the performance schedule here – www.tamamihonma.com/ . Watch a video of this painting being made here. It’s a privilege to know you Tamami!!! Want to choose exciting colors for your home, but not sure what goes with what? Get hot color tips with this Free resource guide. If you like this book, please share it with your friends! Does it get lonely painting all day? Question #25 Does it get lonely painting all day? Nope. I treasure my time alone in the studio, and follow that with lots of time with friends and family. For me, it’s a perfect combination!!! On a related note . . . on personality tests, the results usually show me to be 50% introvert and 50% extrovert. So it makes sense how this plays out in my work and personal life. Which are you . . . extrovert or intravert? btw, if you’re curious, here’s the finished painting . . .
Do you listen to music when you’re painting? 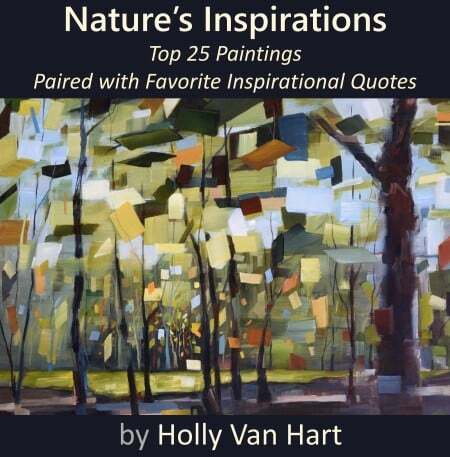 See Holly Van Hart’s top 25 paintings, paired with favorite inspirational quotes. Free eBook full of exciting images and ideas! A couple of years ago, I set about creating a brand new art website (the site you’re on right now). I learned lots, had fun, and am happy with the result. But it took waaaaaaaaay longer than expected. So that others could learn from my experience, I wrote an article about lessons learned called “Build Your Own Website in 10 Minutes (Not)“. 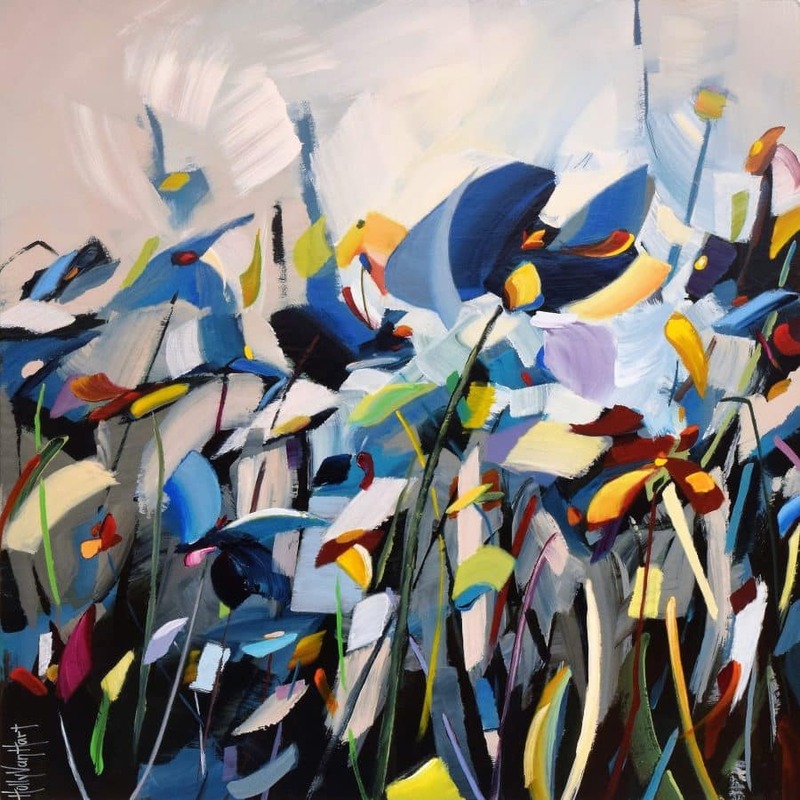 The article is posted on Alyson Stanfield’s art marketing blog, artbizcoach.com blog. Read the article here. btw, if you’re an artist, I’d highly recommend subscribing to the artbizcoach.com blog. I was awarded an artist fellowship by The Clark Hulings Fund for Visual Artists for 2017, and again in 2018, and am feeling very honored. 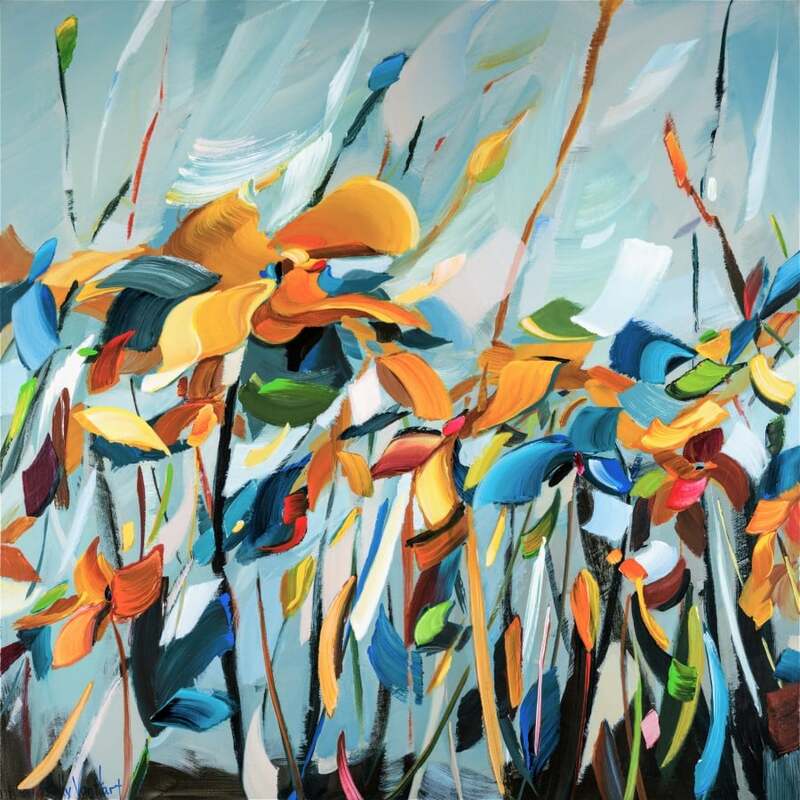 The selected artists will participate in CHF’s innovative and comprehensive initiative, which seeks to transform the art industry by helping artists better manage their businesses. 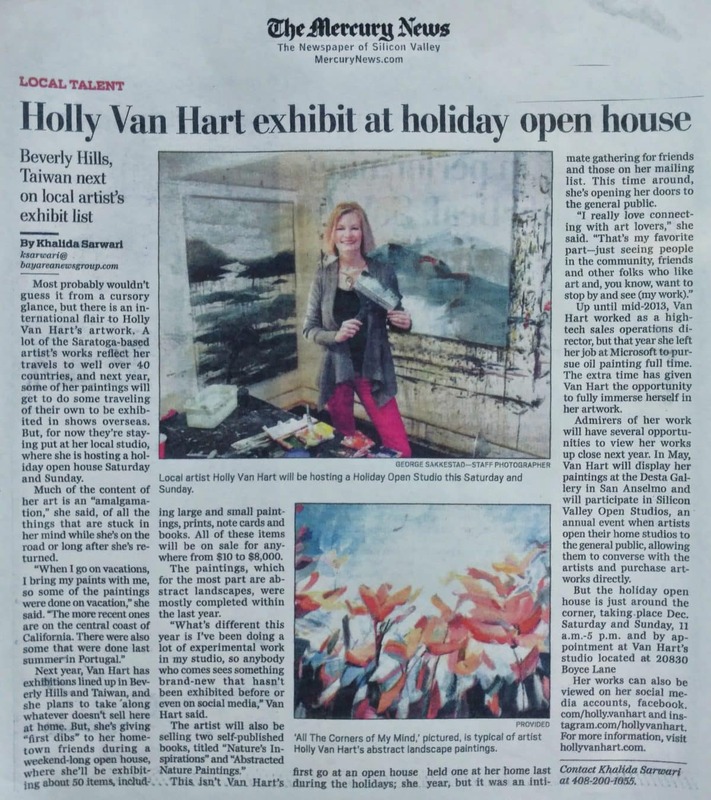 To read additional press such as the Huffington Post interview of Holly Van Hart by John Seed, and the writings by art critic DeWitt Cheng, click here. 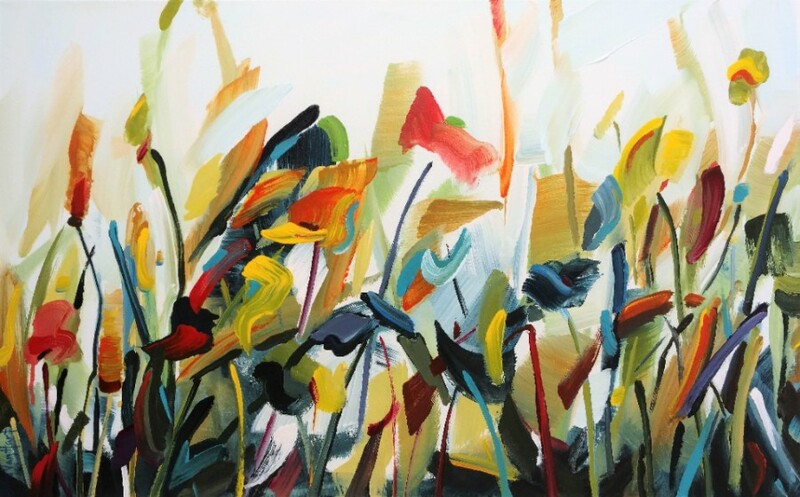 In “Top Fifty Questions”, I’ll answer the top 50 questions I’m asked as an artist. The absolute best thing about being an artist is that it opens up a whole world of connections and friendships. It also strengthens the friendships I already have. I love that. 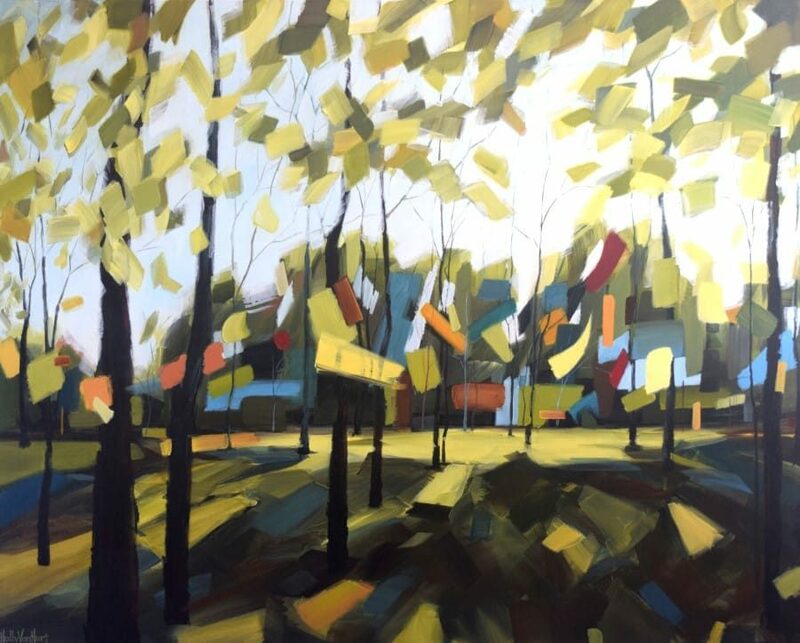 In terms of my work, I love creating a painting that is a personal breakthrough, or that others really like. (The overlap is not always 100%.) 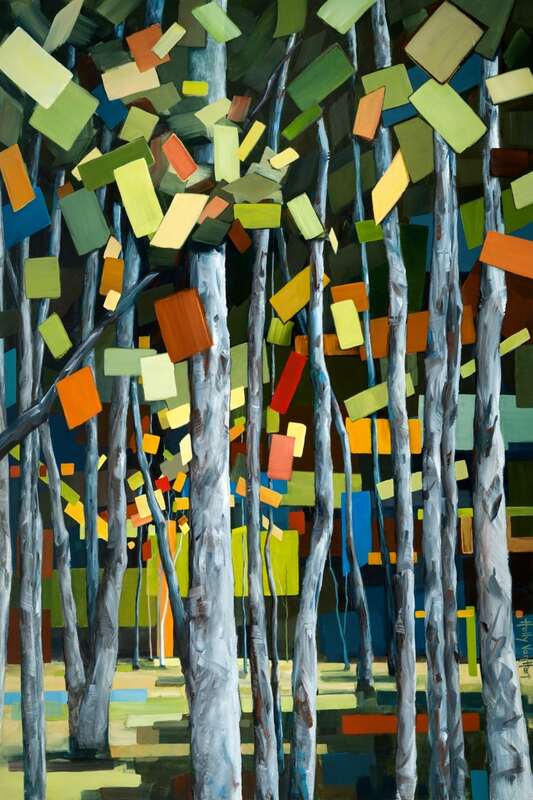 It’s hugely inspiring when a painting wins an award, or is accepted into an exhibit, or is purchased by a collector. 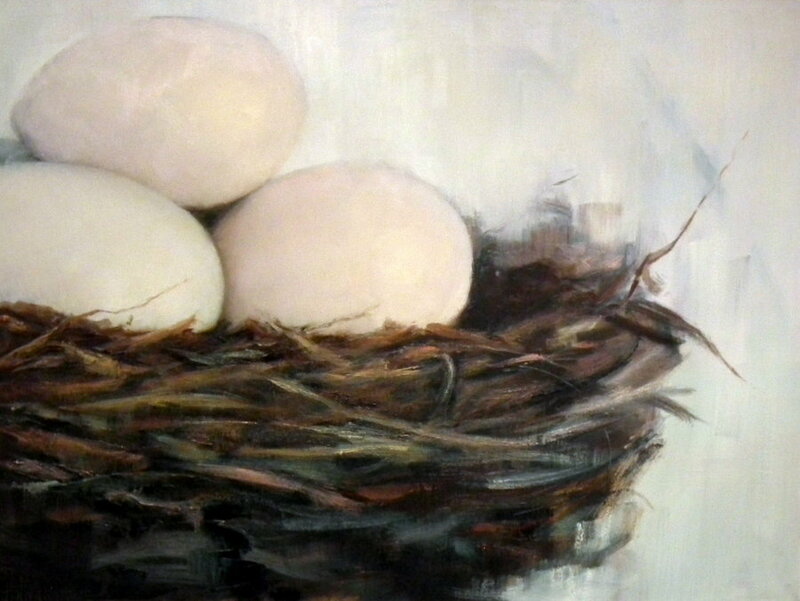 These things make me thrilled to be in the studio and painting every day. 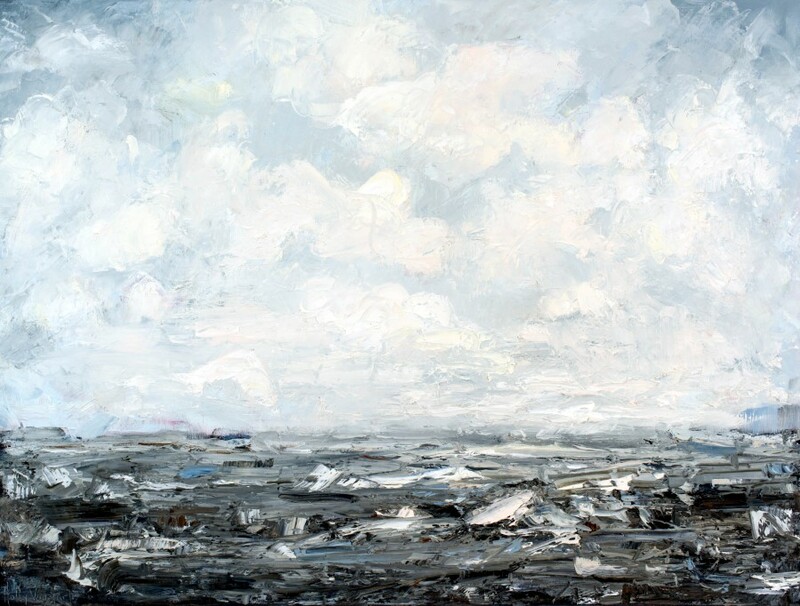 Learn how I awarded a solo exhibition at the Triton Museum of Art, and then prepared for the show. 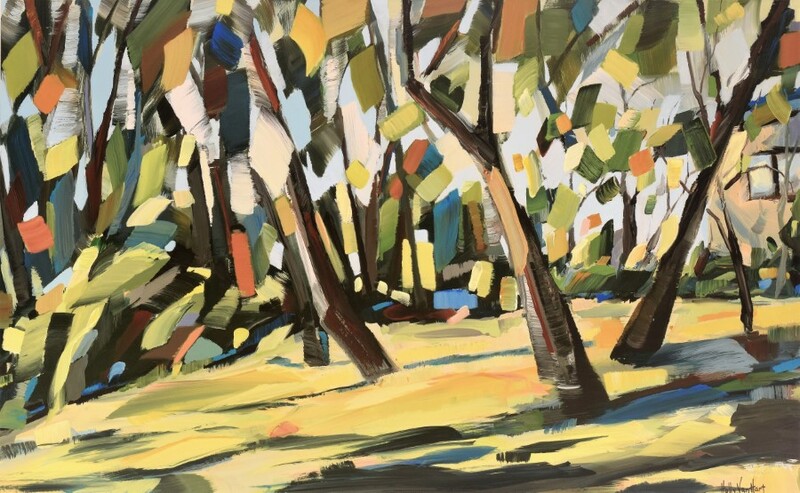 To see videos of painting demos, artist talks and more, click here. Do habits help (or hinder) creativity? Do you stick to certain daily habits? Would you think that habits help (or hinder) your creativity? This might surprise you, but many creative people have strong daily habits. And we go to enormous lengths to maintain them. Habits allow our mental bandwidth to be channeled to create new stuff (art, music, computer programs, legal strategies, etc), rather than being wasted on the mundane (for example, which route should I take to work?). If this topic fascinates you (as it does me), you might like to check out the highly rated book ‘Daily Rituals: How Artists Work‘ by Mason Currey. One of the conclusions of ‘Daily Rituals’ is that there is no set of habits that is best for creativity. But when we develop habits that suit our values and lifestyle, we are setting ourselves up for success. 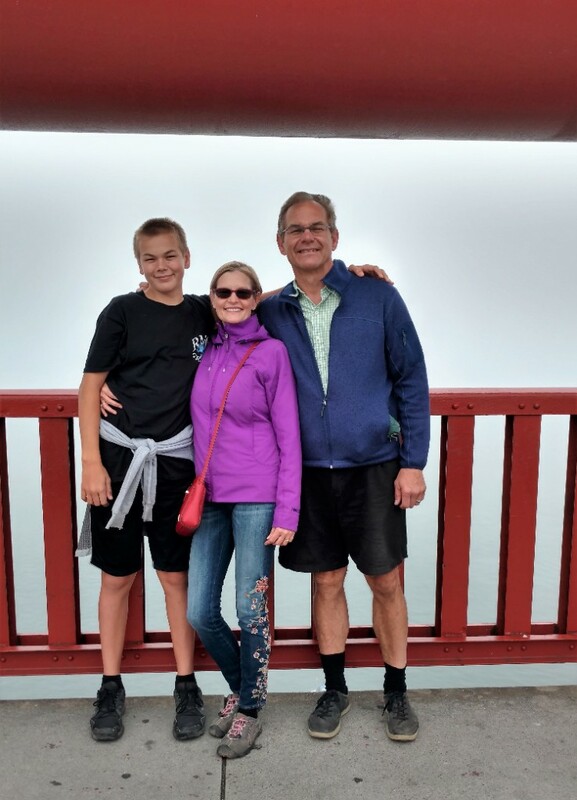 Some of my habits include eating oatmeal for breakfast every day (all 7 days of the week, all 52 weeks of the year, with very rare exceptions), and heading to my studio to start painting as soon as my sons leave for school. One of my habits is eating a bowl of oatmeal every morning. 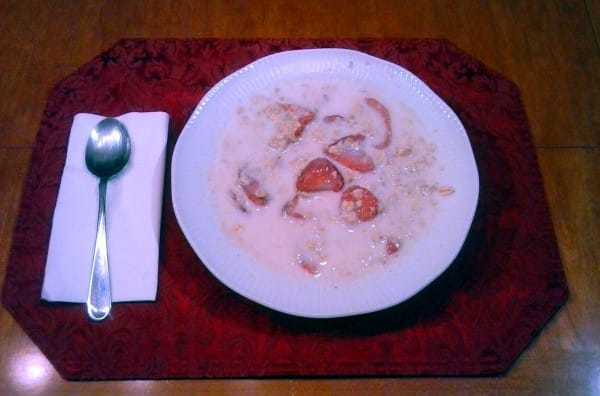 The extras vary (strawberries, nuts, cinnamon, coffee, hot chili pepper, . . . ) but the Quaker Oats stay the same. I have some other daily habits (bad ones) that I’m trying to kick and that do not contribute to my creativity – like eating far too much chocolate. But that’s a subject for another time. What daily habits do you find most helpful? At cocktail parties and other fun social events, people often ask me questions about life as an artist. They are answered in my ‘Top 50 Questions’ list. This blog post is the latest addition to my Top 50. To see the other questions & answers, click here.